There are currently 77,979 users on this website. 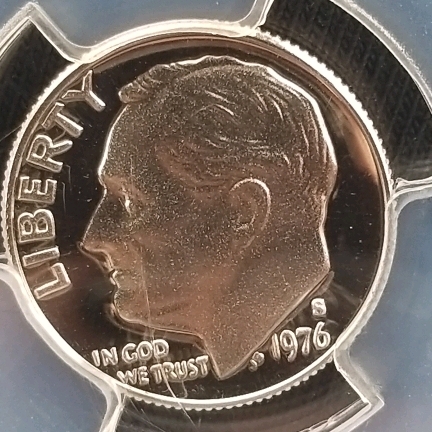 Is This 1976-S Roosevelt Dime An Error Coin? 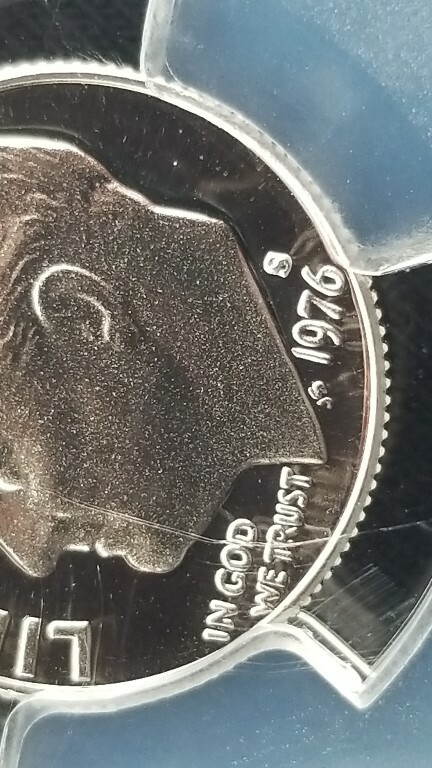 Hello I'm very new but just got some coins and was wondering if this ones date and mi t mark look odd or if this os normal. Thanks in advance for any help. Welcome to the forum! The only thing I see is Machine Doubling, caused by the coin being ejected and the dies slightly flattening out the edges of the design. As this is extremely common it doesn't add any value to the coin. On this site they have more information on mint mark styles, obverse, reverse styles. You just have to look in the right areas. They are usually on the doubled die listing areas, then look for different styles listed. Nice dime (obverse anyway) and interesting the mint mark design in use is normal for this and several other years so its appearance would show somewhat similar on all the dies it was used on. That said the mint mark punch itself is not normal in that its listed as MMS-005 (Doubled Mintmark Punch). I take that to mean the punch itself shows a slight abnormal design. I thought about raising this point before. Now seems a good a time as any. Thanks, Doug.